Wedding live streaming is becoming an increasingly popular solution to ensuring all guests can interact with your big day. Your wedding day is one of the most important days of your life. It is the day you commit your future to the person you love the most in the world. You want all of your family and friends to share your day with you and that’s why you plan quite an expensive day for all to enjoy. Not everyone will be able to make it however. In this blog we will look at how you can address that with a live video feed. In particular what equipment you will need for your wedding live streaming. 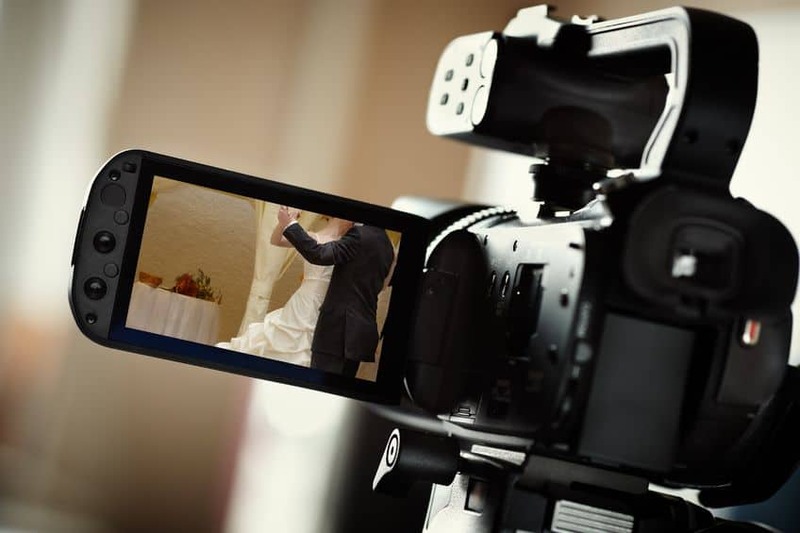 Back to your big day and why you should consider live streaming your wedding. As briefly mentioned you want to share this special moment in your life with everyone you hold dear, and in the main you can. However for whatever reasons not everyone can make it. You might be getting married abroad, you might live far away from your family, or you might have friends who are only coming to the evening celebrations. Filming – You’re going to need the right equipment. Streaming service – You’re going to need somewhere to show the video and for your friends and family to view the wedding. Definitely the most important piece of equipment needed. You have a number of choices here, from your Smartphone, to a web camera to a HD camera with an internet connection. You need to consider if you want a multi camera/multi angle approach early on as this could affect what cameras you choose and how much you spend on them. This all depends on how you are filming your wedding. If you’re using a Smartphone or built in camera on your computer you won’t need it. If however you’re using a professional quality camera or multiple cameras you will need to convert the visual and audio feeds so it can be recognised by the encoding software on your computer. Most cameras will come equipped with an internal microphone but it’s important to check as not all do. Even the average internal microphone is not always the best quality and it’s definitely worth investing in a microphone to make sure your virtual wedding guests aren’t missing out on anything. If you’re using an external microphone you’ll need an audio mixer to feed into the camera, your computer/converter and encoder. Ok so not technically a piece of equipment but it’s very important that you have a good internet connection and the right software to broadcast your live feed. There are all sorts of streaming websites out there, so check some out. If all of this sounds a bit too complicated for your big day or you don’t have any of the required equipment, there is an alternative. Hire a professional service. That’s where we come in, it’s what we do. We have all the equipment, knowledge and experience to ensure that your wedding live streaming is successful and hassle free.